As we advance in age, our bodies’ defense mechanism weakens. Most cannot afford to exercise anymore or go on a diet for several reasons, which explains why we are always sickly thateven common ailments can quickly hit us. Therefore, we feel gloomy and depressed whenever a loved one who’s in his or her twilight years suddenly becomes unwell and ailing. However, there are emerging measures to help prevent ailments from hitting you or if you do get sick, can help you recover in a fast and healthy way. One of these is “slow juicing,” a process of extracting juices of its vital nutrients that are needed to strengthen our bodies, help improve our immunity, for the sick to recuperate quickly and overall provide for better health. “Slow juicing” slowly and gently presses the fruit or vegetables to extract all the natural juices that are full of vitamins and minerals. And more importantly, taste is retained so what you’ll get is all-natural juice that’s great-tasting, too. 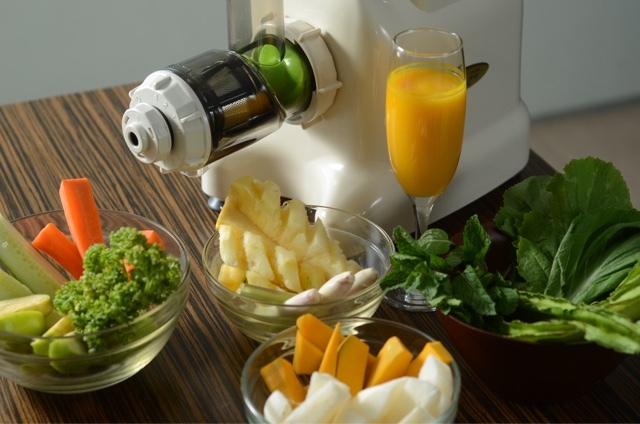 Here in the Philippines, Filipinos who are in their advancing ages will be glad to note that the Matstone Horizontal Slow Juicer is now available for them to enjoy the benefits of juicing and help protect them or recover effectively from sickness. Matstone is the only slow juicer in the country that carries the horizontal design with its many advantages in terms of reliability and functionality. When it juices, there is an assurance of no stuck-up of fruit pulps inside the juicer. This one-of-a-kind juicer can also juice hard, leafy vegetables and guarantees no leakage whatsoever. Aside from being a slow juicer, the Matstone Horizontal Slow Juicer can also slice vegetables for a fresh and healthy vegetable salad. It can also mince vegetables, grind coffee beans, or even make homemade pasta so you can prepare all these nutritional dishes for your Mama or Papa, Lolo or Lola. Matstone is the first low-speed juicer introduced in the Philippine market that runs at an ideal speed of 80 revolutions per minute (RPM) which makes it an effective juicer for green and leafy vegetables yet retains most of the nutrients found in the food. So if you think you need to complement common medicines with other healthy means that help to improve your health or combat and recover from ailments, try slow juicing for a change. Who knows, going “juicing” might be the best one you can try to help you live healthier or effectively get well from an illness. Try the Matstone Horizontal Slow Juicer. It’s a decision you will never regret. Matstone Horizontal Slow Juicer is distributed in the Philippines by IAJ Wellness Corporation. To know more about Matstone Horizontal Slow Juicer, testimonials, and healthy recipes, visit their website, www.matstone.com.ph and like them on Facebook, www.facebook.com/MatstoneJuicerPhilippines. IAJ Wellness the exclusive distributor of MATSTONE Horizontal Slow Juicer and also manages other appliance brands geared towards providing a healthy lifestyle to consumers. Visit www.iajwc.com for more information.